I previously posted the following message and received a reply but I am not sure that it addressed my concern so I have taken a screen shot to try to further explain the information I am looking for. 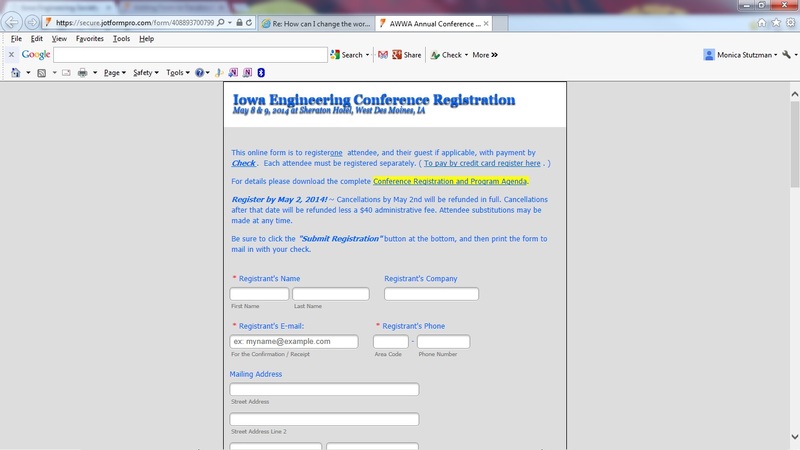 How do I change the tab at the top of the web browser from saying (AWWA Annual Conference- see the screen shot) to say Iowa Engineering Conference. I cloned this form from AWWA but can’t figure out how change this part or where it populates from. Thank you, again, for any guidance. 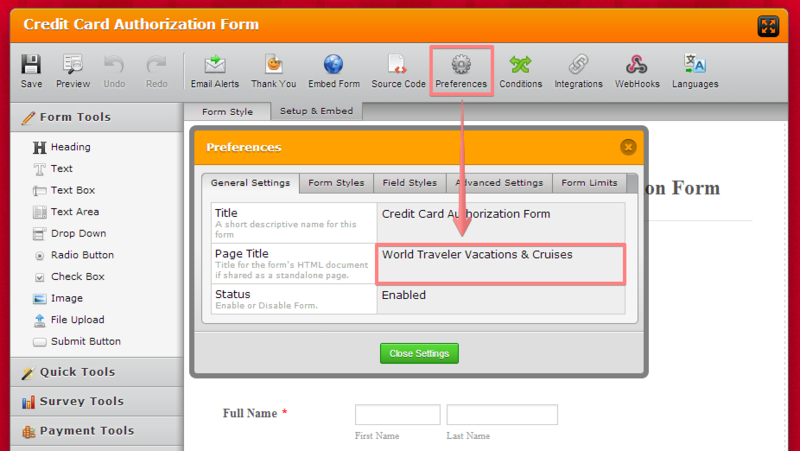 Original Message: This is my first time using JotForm for an event registration (for IES). I copied my co-workers form from a different event (AWWA) and revised it to fit my needs for IES. Everything seems to be good except that when we click on the embedded URL link to open the JotForm, the description on the tab in my web browser has the old conference name (AWWA) on it and I cannot figure out where that is pulling from in order to change it. I appreciate any guidance you can give me on where to find this so I can change it. This is PERFECT!!! Thank you so much for your reply. On behalf of my colleague. You are welcome. Do let us know if you need further assistance. Thank you.